Although the illustrations and color palette are quite simple, the box is brilliantly detailed. 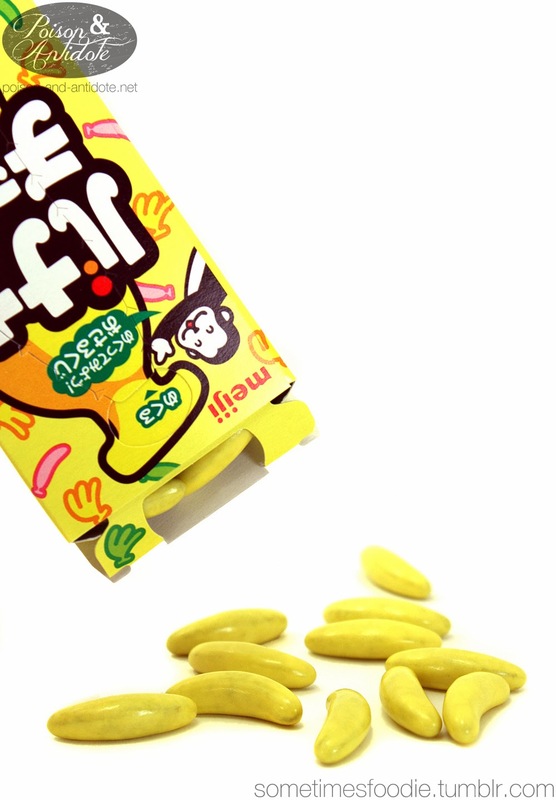 The top flap pops open to easily dispense the banana candies and there is a removable banana peel that reveals your future luck. Sadly I can’t read any of it. If anyone can translate, please send me a message. There was a lot of thought put into this design and I absolutely love it. I already admitted that I bought this candy based on looks, and I assumed that it wouldn’t taste that great. If anything I figured these would taste like chocolate covered banana runts. I don’t know about any of you, but just thinking of that combination makes me gag. I am happy to report that these taste just like chocolate covered bananas. If I popped these into my freezer I imagine they’d be even more accurate. 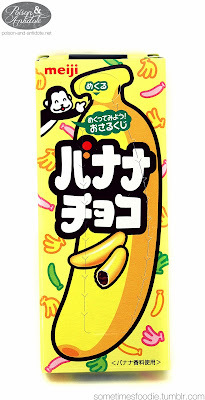 Outside, this candy has a thin crunchy shell with some nice banana flavor, and inside there is a lovely banana flavored chocolate. 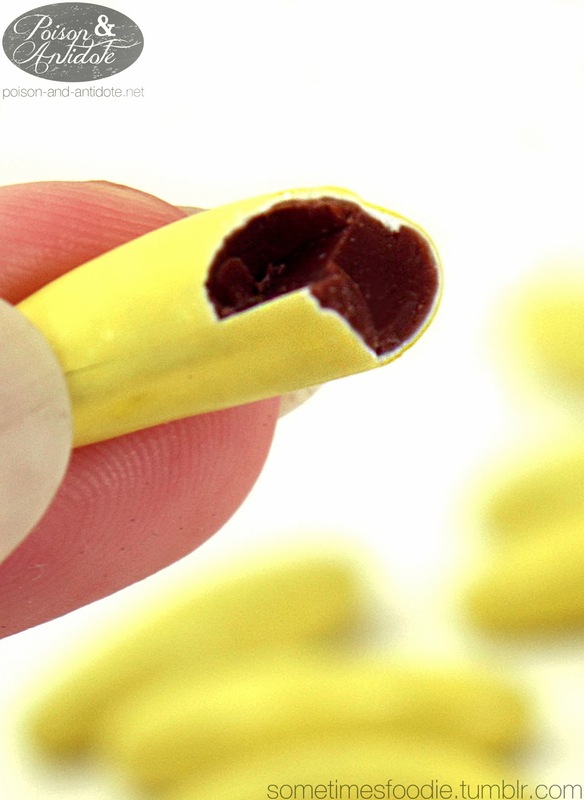 The shell creates a crispy texture while the chocolate immediately starts melting in your mouth. It might be because Runts set the bar so low, but this is the best replication of banana flavoring I’ve ever had. I can see these being an adorable, and delicious, topping for ice cream, cakes, cupcakes…you name it. I am sorry I judged you delicious banana candy, and I WILL be buying more.